Ranch fences and gates look amazing. If you have always wanted a ranch fence we, are ready to make your dreams come true. We build beautiful ranch style fences and are ready to provide you with a quote. Moreover, the ranch rails have elegant finishes that convert an ordinary fence design into an excellent style. If you want a cheaper solution for your ranch fencing needs, consider our white split rail fence designs. 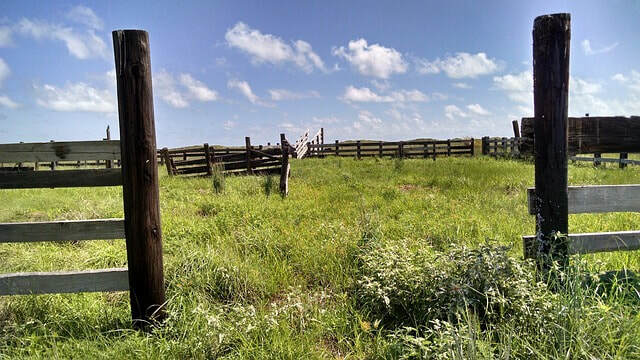 Split rail fencing is an iconic style that offers a rustic look to suit your ranch. Ranch owners who are looking for a study fit and extra durability may find round rail fencing secure. Additionally, round rail fences have a symmetrical and uniform look for different fencing applications. The diamond rail is a good alternative to the rail fence and standard post. The rails have a unique positioning that creates the diamond-shaped effect. If you want an elegant and appealing fencing solution, consider a diamond rail fence. Board rail fences have the same feel as round rail fences except for the fact that they have planks. Board rail fences are classic and perfect for both small and large ranch and can be used on different environments. Fence installation is a big and complex project. Buying vinyl or wood is not enough, you need equipment and composite fencing materials. Holes must be dug, posts placed in the holes and concrete added to the base of the posts to increase stability. If you choose wooden planks for the fence, for example, you will require countless nails. The good news however, is that our fence replacement experts can handle all your fencing needs. The amount may be lower or higher depending on the nature of the project and geographical location. Nevertheless, the cost of installing a ranch fence is something we can discuss with you when you are ready. Installing a ranch fence is a great way to secure a residential property. It is recommended for homeowners with children. Ranch fence style is traditional and rustic. 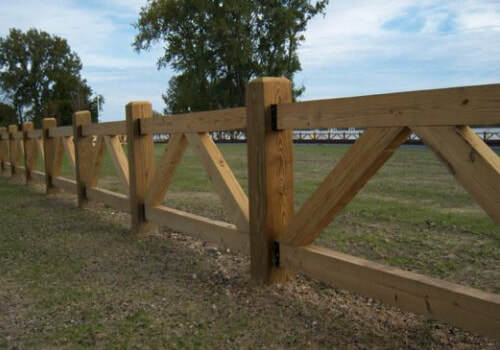 The cost of ranch fence installation vary based on the material used and the scope of the project, although the cost of installing a ranch fence can fit into any budget.